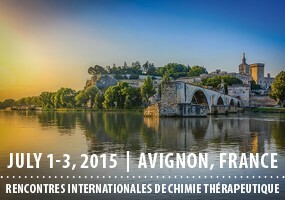 This year again, we will participate to the 51th RICT (Rencontres internationales de chimie therapeutique), which will take place in Avignon in France, from July 1st to 3rd 2015. Do not hesitate to visit us at our stand #20, to have an overview of our products (20 millions of chemicals) and our service (supplying, custom synthesis, chemoinformatics). You would be able to discover new features of our website, especially the MolEditor service.